During the 2019 Awards season, Regal, Loews, AMC, Cinemark and the Paris Theater will accept a Writers Guild membership card (your member ID card) for free admission for two people to see films that are under consideration for Writers Guild Awards. Tickets for you and a guest are available for theatrical screenings that happen Monday through Thursday, but not during a holiday. The Awards season goes from October to the end of January. To take advantage of this benefit, please show your card at the box office. If you are unsure if a film is up for Writers Guild Awards consideration, please note that all partner theaters keep a list of which films can be seen by which guilds. Members can also check the movie section of the New York Times as ads for films often include if they are up for Guild consideration in tiny print at the bottom of the ad. 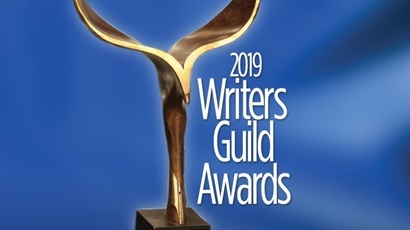 In related news, the submission period for the 2019 Writers Guild Awards is currently open.